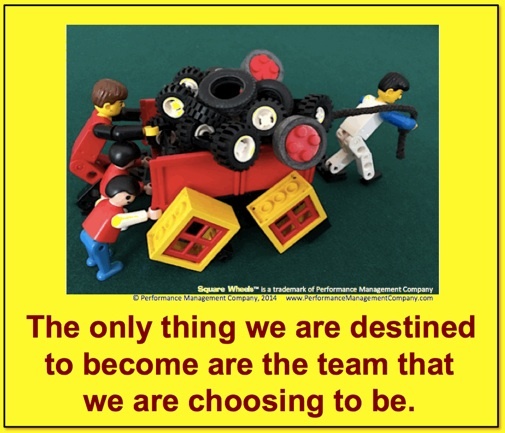 I was reading some quotes and saw a quote by Emerson that I thought to reframe around teamwork and the choices we make. Again, I will anchor it to my Square Wheels model of how people and organizations really work and share it with the intention that maybe some new thinking will generate some new choices. Our lives are filled with possibilities for doing things differently and impacting ourselves and others. But we can only make choices based on the alternatives that we have already considered. A key is to occasionally step back from the wagon and look at how things work and what might be done to make an improvement. ← Making the Workplace FUN!